Renoise, the tracker-style music production host, has gotten a massive injection of customizability, scriptability, and hackability. If all you want to do is plug in some controller hardware and have more tangible control of music making, that scriptability can be nicely hidden away. But if you are ready to hack on your music app, this is some enormous news. For that reason, Renoise 2.6 is being called even by its makers the “Renoise Geek Edition.” But if this hackability catches on, it could mean a music tool that’s more fun to use for everyone – not just scripting geeks. 2.6 has been released into a private beta for registered users, with the full release anticipated soon. The video at top sums up why the open API is potentially a big deal for everyone. 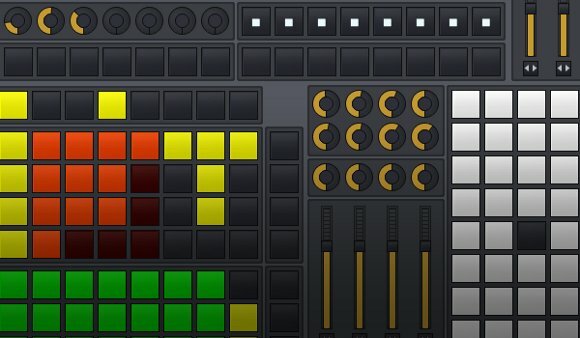 Right now, you can use a pre-built script for two-way integration of hardware like Novation’s Launchpad. As other folks get into the tools used here, though, that could (if hackers get so inspired) lead to lots of other hardware support and musical ideas. The other big news, at the opposite end of the spectrum, is that longer samples now “autoseek.” That’s best seen in the video below, although I can put it this way – this means if your music isn’t all microsamples, you can now more easily produce and perform in Renoise. Script everything – using a truly open API. Firefox has extensions. Renoise has Lua scripts. You can customize the user interface, manipulate musical elements in your song, control MIDI, audio, and OpenSoundControl, or actually dive in and create features Renoise doesn’t have yet. Those ready to code can use the elegant scripting language Lua, which means that – while you’ll definitely need some basic coding chops – the results are surprisingly simple and readable. You don’t need a separate add-on product, and the API is fully documented, free, with a whole bundle of scripts and snippets under an open source MIT license. Renoise itself remains proprietary, but that means the scripts themselves are free to remix, and coders are free to distribute their work to all Renoise users. That approach contrasts with the solution devised by Cycling ’74 and Ableton for Ableton Live. Live is not directly scriptable; the so-called “Live API” used by hackers was a set of private APIs. Max for Live provides some, but not all of this functionality, and it’s a paid add-on, so you can’t distribute your work to all Live users. On the other hand, the Lua scripting engine is just a scripting engine – it’s not the synth, sequencer, effect, and multimedia-processing platform that Max is. For some, that may actually make the simpler, more direct Lua interface more appealing; they’re just not directly comparable. Using these scripting features, it’s possible to get much richer, two-way communication between control hardware and Renoise software. You’re a coder. Dive in and make things work the way you want. What’s ground-breaking about what Renoise have done is that everything is built atop an open, extensible API for the software itself – rather than kludging together various protocols and tools, which has been the traditional industry solution (if you’re lucky, and there’s any customization at all). Renoise’s Duplex uses an object-oriented system for describing hardware and software and communicating events bi-directionally between them. It’s all built in the API, so it’s all customizable. There’s even an onscreen tool so you can mock-up interactions with hardware you don’t yet own (or haven’t yet built). Renoise joins MOTU Digital Performer, the open source DAW Ardour, and a host of visual apps that support full, native OSC. That means support for networked, transparent control from anywhere to anything. You can even send Lua scripts as OSC commands, so this new API is really controllable from anything. Linux now adds DSSI plug-in support, bringing a full complement of Linux plug-in compatibility, as well as 64-bit Linux support. Mac, Linux performance enhancements (especially on 64-bit Linux), and better support for hardware-based plugins (which I’m assuming means latency compensation) round out this update. Needless to say, this is all something we’ll be covering more. Stay tuned here. Thanks to Johann Baron Lanteigne and everyone who sent this in.